At Mulhearn Funeral Home, we are the leader in providing cremation services to the families we serve at the most competitive prices. 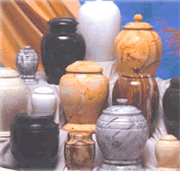 Our firm offers several cremation packages to meet the needs of each and every family. Our directors are good listeners and will help your family plan a dignified ceremony, that remembers the life of your loved one. Whether it is a ceremony of simplicity, a gathering of remembrance, a contemporary service, traditional cremation service or a scattering service. Each individual has their own unique characteristics and our directors will help each family make this difficult time a more meaningful and personalized ceremony. Our goal is for each family member to go home from the services with a special feeling, that their loved one was cared for with compassion, dignity and the utmost of respect. 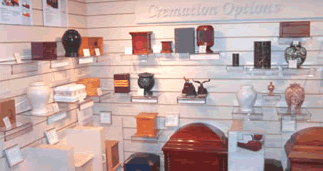 We own our crematory and have a wide selection of caskets made especially for cremation, numerous urns to select from and personalized keepsakes. Through our cemetery, Mulhearn Memorial Park we offer individual niches and cremation cemetery property and memorial monuments.